IT was like one of the land releases in the 1980s when buyers rushed to stake their claim on any available lots. 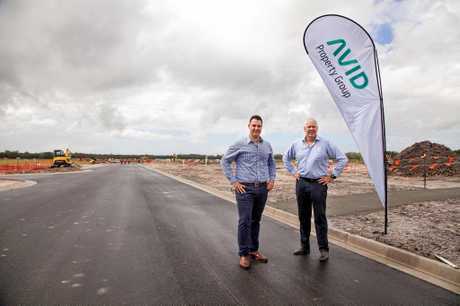 Sunshine Coast and national home builders have taken their first steps on to the site of Queensland's largest display village north of the Brisbane, as they conducted their first inspection of Harmony Display World, under construction at Palmview. Harmony Display World will live up to its name, providing a world of opportunity and choice for home buyers as part of AVID Property Group's $3billion residential development, Harmony, in the heart of the Sunshine Coast. Builders were given site maps at the launch and then set off to inspect the blocks they will build their display homes on. It added to the sense of anticipation that has been surrounding the launch of Harmony, a 378ha master-planned community that will deliver more than 4800 homes for 12,000 future residents. "Your success is our success,'' AVID development manager Anthony Demiris told more than 90 members of the building industry. Construction of the display village will start this month. 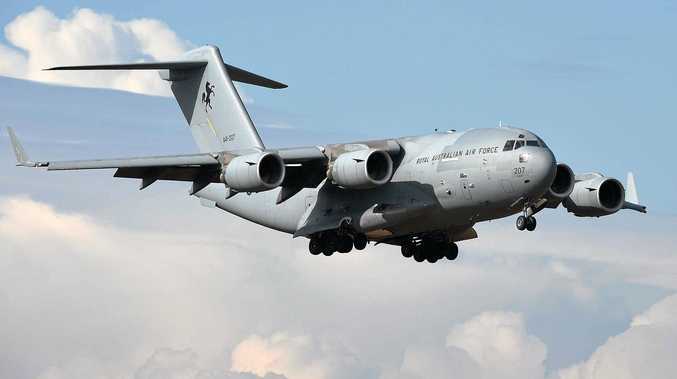 Stage One has seen the release of 130 lots in addition to the display village. The release of 91 lots in Stage Two is expected in a matter of weeks. Harmony will deliver 100ha of open space and the future delivery of a 15,250sq m gross floor area town centre. AVID Property Group general manager Bruce Harper said the visit by AVID's 25 local and national builder partners was a terrific milestone for Harmony, as construction progressed towards the opening later this year. "Harmony Display World will showcase 43 quality homes from an experienced team of 25 national and local builders," Mr Harper said. Harmony will include Queensland's first grand linear park as well as a large town centre with shopping, dining and other leisure activities. 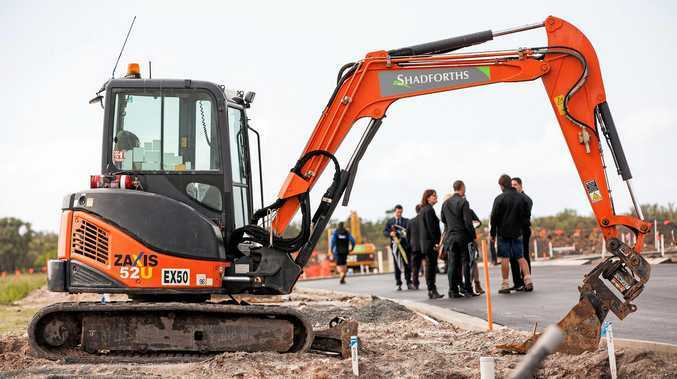 "The builders will play a very important role in transforming the site into a destination for home design and lifestyle visioning, where people can experience the very best of Sunshine Coast living," Mr Harper said. "There will be a diverse range of homes and land lots on offer to suit a variety of lifestyles. "Our range of builders include respected local Sunshine Coast builders, as well as major national builders with reputations for producing award-winning homes." Mr Harper said AVID recognised that people increasingly looked to technology to initially explore their property and building options however, the opportunity to 'touch and feel' home products would always be critical to buyers. "Harmony Display Village will give buyers the chance to immerse themselves in the uniquely Sunshine Coast Harmony environment and the new home options available to them," he said. "People will experience first-hand the vibrant community AVID is creating in the heart of the Sunshine Coast. "Not only will people be able to see inside our fantastic range of homes, the sales hub precinct will include the community's first café and spaces for community events, markets and festivities. "Harmony Display World will become a destination people will want to come back to." For more information about Harmony house and land packages: visit www.harmonyliving. com.au or call 1800 550 240. AVID Property Group's $3billion project, Harmony, is strategically located in the heart of the Sunshine Coast. Set on 378 hectares, the master-planned Harmony will deliver more than 4800 homes for 12,000 future residents, catering to a wide range of buyers - all enhanced by 100 hectares of open space and the future delivery of a 15,250 GFA Town Centre. More than 9000 short-term jobs will be generated through the delivery of the project. Harmony's design embraces the Sunshine Coast's enviable lifestyle and is connected to the Bruce Highway and the Sunshine Coast Motorway. Mooloolaba is 10km and Maroochydore 14km to the north, the coastline is 7km to the east, Brisbane is 90km to the south, and the Sunshine Coast hinterland is 20km to the west.